You can have all the survival skills and tools in the world but if you don’t have a top quality survival backpack, you’re putting yourself at risk. 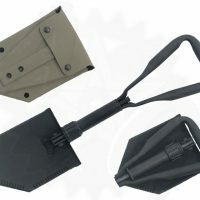 You need the right size for your needs, it has to be ridiculously durable, has to be easy to use and be comfortable because you could be walking with it on your back for miles through difficult terrain. 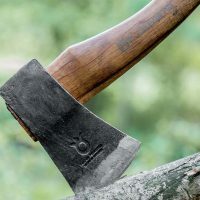 When it comes to survival backpacks, there are some special qualities that make them vastly different from other kinds of backpacks. 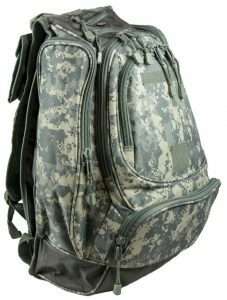 These kinds of backpacks were designed for use by the military as well as police agencies to use on survival excursions and missions. They’re smaller in size (compact) but provide the user with significant mobility. A second worthwhile feature is the number of distinct compartments, as they can hold all the survival gear soldiers, special forces and those who want to survive need while out and about. The majority of assault backpacks come equipped with side pockets, making it easier for users to gain access to their survival tools like a survival hatchet or survival machete without the need to take off the backpack. 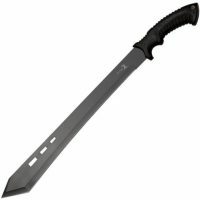 What are the must have features for a survival pack? 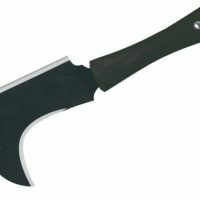 2 What are the must have features for a survival pack? I’m going to go over all the features I’ve considered before making my recommendations. This is the fun stuff! The below youtube clip is a really great 3 minute clip to show you what features you can expect from a high quality survival pack. Below I’ll go over the factors in the above clip in more detail plus other factors that weren’t mentioned in the video. Size is important, it needs to be the right fit for you and your situation. It’s common for people to get the largest backpack they can, but this just means more money for features you may never use. How the backpack is made will determine how much gear you can actually pack into it. Don’t look at the backpack’s dimensions; look at the volume it’s able to store… based on what the manufacturer notes. 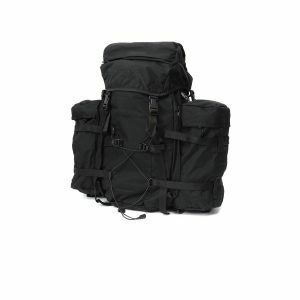 The manufacturers of these backpacks will list the volume in either inches or liters. This measurement is based on the total space of the bag – this includes the space that the pockets and compartments take up. Backpacks that have external attachable pockets are not always included in the volume. Therefore, you need to make sure the volume is included. Survival backpacks can hold 45 or more liters, and any pack less than that is regarded as small. If you want a better idea of the amount of gear a backpack can hold, remember they’ll use small plastic balls to fill the volume and counting it together. Of course, the real world doesn’t work like this. There’s no way that the gear people need can fit altogether nicely in the backpack. This is why backpacks tends not to hold as much as the capacity states it can. While this strap may not seem important at first, you will be glad you have it later. It will help reduce the pressure of a heavy load, easing the tension on your neck and shoulders. If it doesn’t come with a chest strap, at the very least you should look at one with an attachment for one, for when you change your mind. The majority of true tactical backpacks are designed using durable nylon that is often water resistant. 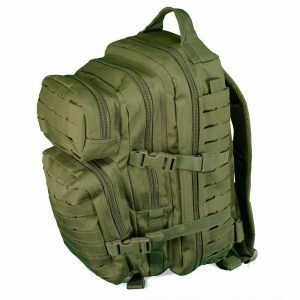 You want to review the materials used in the backpack closely, you don’t want to pay for a high-quality tactical backpack only to find out later some parts were cheaply made. 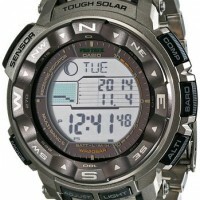 There is also a difference in water-resistant and waterproof. Resistant means it will repel light water, such as a light rain shower, but can still feel with water if submerged or rains like a waterfall. While you may carry a canteen or bottle, you should ensure the hydration bladder is adequate This allows you to conveniently hold more water with a hose or star that allows you to drink without removing the backpack and getting your container. Make sure it has enough utility pockets available for your situation. This is where you want to know your situation prior to buying to large. If you’re camping, you may need more pockets than if you’re just going on a short nature hike. If you’re a forest ranger, you’re likely to need more than your average camper, etc. There are some that have an internal frame, and some that do not. The frame helps add balance and stability to the backpack, but at the same time it adds more weight. If you have items which move around, it is a good idea to have the frame, but if it’s not a requirement it can reduce the load weight. The most common closure type is button snaps, but Velcro allows small items to remain in pockets much better. This feature can help ease your stress over losing pocket change or car keys. Is there anything more boring than zippers? They are actually really important. The last thing you need is a zipper failing on you at the worst possible time like when you need to access something fast or when you need to get moving quickly. The thing is that with low quality packs, the zippers just aren’t as good as in high quality packs. For example, 5.11 tactical use self-repairing YKK® zippers which are really great quality. It’s all these things which appear like little things but are actually massive things to consider that I’ve taken into consideration. Your backpack can get everything right, it can have great compartments, be comfortable and waterproof etc but if the backpack gets a hole in it at the wrong time all those other great features are pretty much useless. I’m the first to admit that this section on the fabric of the backpack is boring. 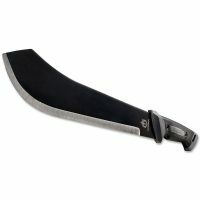 Backpack material isn’t anywhere near as fun and as exciting as the steel that a machete is made of but it’s still a very important thing to consider. When it comes to the purchase of a backpack, you need to know what the fabric weight amounts to. Bear in mind that fabrics can be found in various weights and can make a significant impact on its strength, weight and durability. Denier is the measurement in which to measure weight of fabric. Denier is the unit of yarn’s fineness equal to one gram per 9,000 meters of yarn. It boils down to this simple standard: the higher the denier amount, the greater the material weight, durability and strength. 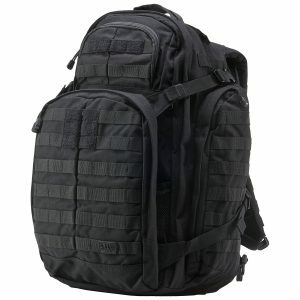 5.11 tactical backpacks are usually 1050d where as cheaper brands are 300d-600d meaning they are no where near as durable. The kind of material and kind of weaving that’s used in the development of a survival backpack will affect both its strength and durability. When it comes to weave, the majority of manufacturers use a general diagonal weave, which increases and protects the bag from wear and tear. Ripstop Fabric – The ripstop fabrics have a regular grid pattern that consists of heavy threads that have been sewn into the fabric in close intervals. The threads are thick to ensure a tear won’t spread with strong weaving that ensures it’s highly resistant to tearing. Many survival backpack manufacturers use Nylon Ripstops to create bags. Kodra and Cordura Fabric – Dupont created the air-treated nylon fabric Cordura. Olon Intl.-produced Kodra is similar in fabric and is created in Korea. The fabrics’ texture is fuzzy and rough, making it very tear resistant. The weave has thick fibers that boosts its strength and makes it resistant to tearing. The downside though is that the material adds weight to the backpack. It’s not near as durable as the nylon rip stop when measured pound for pound, but is when measured by per square inch. Oxford Weave – The Oxford Weave is generally found in vehicle seatbelts. The weave has a smooth, linear wave that’s not that strong and doesn’t have a resistant to tearing. Thus, if you’re looking for a strong backpack, then you certainly don’t want to go with a backpack with this as its material. This is the best option you have. 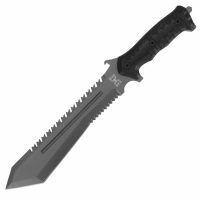 It’s made by 5.11 Tactical so you know it’s great quality. A lot of thought has gone into this backpack. The material used is great and everything from zippers to clips is terrific quality. The last thing you need is a zipper breaking. I’ve done a full review of the RUSH 72 here. You can check the price here. Another very popular 5.11 tactical backpack is the RUSH 24, which has both the storage organization and capacity that keeps people moving. It’s got a spacious compartment that comes with three inside mesh pockets. These pockets let you keep small items organized. It also comes with a fleece-lined sunglasses pocket so users know where their glasses are at. Its dual side storage compartments provide double-zip access; it’s got a large stuff-it pocket that includes an integrated draw cord with pliant storage when necessary. With contoured compression straps, users can comfortably carry the backpack. With the wrap-around web platform being MOLLE/5.11 SlickStick System compatible, users can customize their storage options. Often regarded for being the best of the best in survival backpacks, the RUSH 24 brings together increased storage capabilities and superior mobility to use in whatever environment. Read the full RUSH 24 review. MOLLE stands for Modular Lightweight Load Carrying Equipment. Backpacks that are MOLLE approved, are often worn by those in the military. 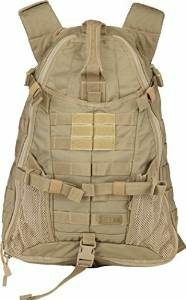 These backpacks are quite versatile that has rows of webbing that are made from nylon that is stitched into the vest and allows other MOLLE items to be attached. This type of system has made the ALICE system mostly obsolete, but it is still used for some training units. 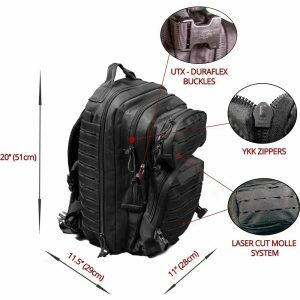 There isn’t any doubt that having a MOLLE backpack for your bug out bag, or even your everyday use backpack is going to be your best bet. 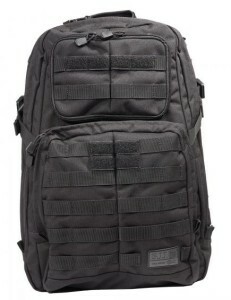 This modern MOLLE tactical Backpack will certainly will not let you down. It doesn’t matter if you are just wanting an everyday outdoor bag for camping, hiking, or even trekking, or you are just wanting to use it for a bug out bag. You will be able to rely on this awesome backpack. This bag holds 36 liters and has really great pockets for keeping everything organized, for day trips, or 3-day survivals or just an over night camping trip. This bag is the ultimate test of extreme durability. It is heavy duty and was built to be able to withstand harsh conditions. It is very comfortable to wear because of the high quality cell foam padding on the back and shoulders which provide shock protection from any hard objects in your bag. It also comes with a great adjustable hip belt as well as lateral compression straps. This backpack is made from 1000D nylon Condura material that makes it weather resistant and very rugged. It comes with YKK zippers, so you are less likely to break the zippers off. It also has Duraflex nylon buckles which ensures that your stuff will be secured with great fastening power. There is also double stitched stress points as well as bar tacked stitched areas that help to make the bag stronger. What I think is awesome, is that has a variety accessory options that are there for different needs and uses. The MOLLE system is laser cut which makes the backpack very lightweight and great. There is less wasted space and the comfort is top notch. You can also customize or even configure your attachments how you please. 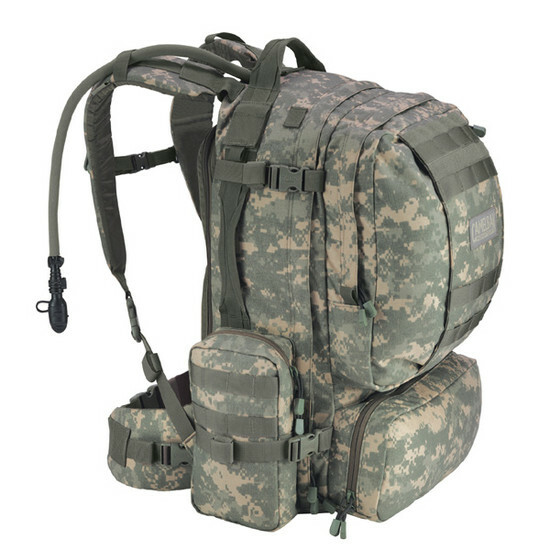 This backpack is compatible with other PALS or MOLLE systems, pouches, and accessories. 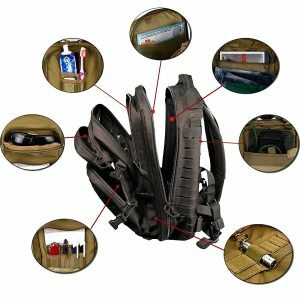 There are a lot of benefits to using this MOLLE system. There are a lot of compartments that you can use to store your smaller items and since there is a hydration pack, you no longer need to carry your canteen, unless you are like me and go through tons of water. Since there is a strap system, you are able to attach your gear and get on the move quickly. 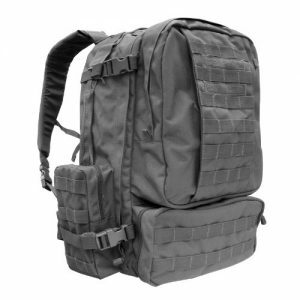 This is the one MOLLE backpack that I turn to every time when it comes down to needing a good bug out bag. I have never had any issues using this bag and I will continue to use it until it finally gives out, so there is no telling when that will be. I highly recommend this backpack to anyone who is an outdoorsman. 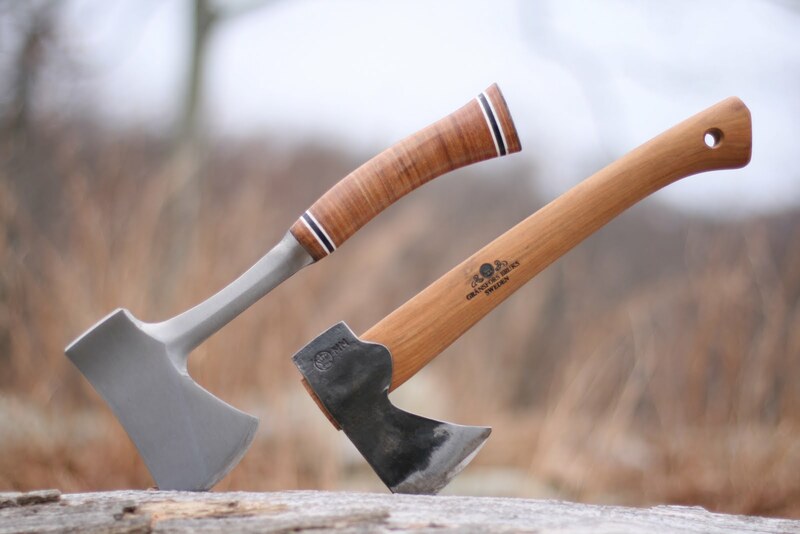 Whenever you see the name Condor, you know right away that it is a really great brand and that it is a manufacturer of awesome outdoor supplies and bags. Condor has been producing affordable, quality outdoor gear for years. The new 3-day Assault Pack is certainly no exception. This is a really awesome bug out bag that is completely customized to fit all your needs. It has heavy duty written all over it, and it has a lot more features that you would expect from your average bag. Let’s cover some details. This Condor bag is super durable, meaning that its made from 1000 Denier construction. It is large, with a 3038 Cubic Inch main compartment. It has a whole other compartment just for hydration bladders. There are external compression straps as well. Not to mention the grommets on the compartments that allow for easy drainage. The Condor 3-day Assault Pack is very rugged when it comes to construction and you are really able to put it through a beating without there being any notice. The water and wear resistant nylon that is used to create this bag is considered one of the most durable materials that has ever been used for the modern backpack. This bag actually has so much storage, that you really do not know what to do with it. 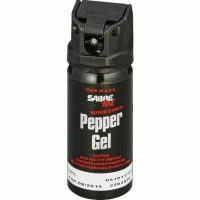 When it comes to a large bug out bag, you can’t go wrong with this one. The main compartment is huge, plus there are tie downs and straps that are inside of this compartment that will keep all your gear secured in one place. That is a big plus for me simply because I carry around a lot of stuff, but I hate being disorganized. This allows me a chance to keep my items separated. Because this is such a large bag, you want to be sure that it will be comfortable to carry when it is loaded down with all you need. That is another check on this check list, as it can be worn for hours without there being any real effort. The shoulder straps are actually pretty wide, so they don’t cut into you when you are carrying your items. Then there is the back that is padded that allows airflow and prevents your back from sweating. There is even a hip belt that you can use. Biggest Downfalls for me were the fact that even though it is solid, the pull tabs on the zippers had a habit of just breaking off, which often happens if you are trying to do something in a hurry. I ended up breaking mine during a rain storm, which caused it to become hard to zip up my bag in a hurry. Plus, I am a little short, and this bag actually hangs a bit lower than it is supposed to. I guess that it just because of the capacity for storage. But it is worth the price when you pay for extra storage. This is a great bag for everyone, it just works better if you are taller than 5 foot 6. 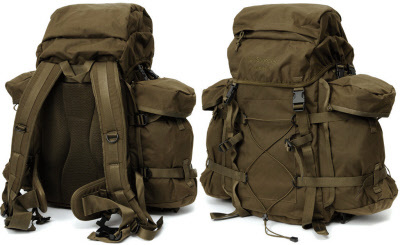 Overall, The Condor 3-Day Assault Pack is really comfortable, and you can wear it a lot, which I have. The shoulder and hip straps are completely adjustable and are able to fit to just about any body type. 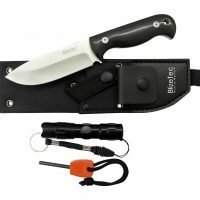 This is a really great choice for someone who is looking to build their bugout bag from scratch. The outer shell is really durable and the inner pockets and compartments are full of storage and everything needed to keep your stuff organized. This is a really good backpack BUT it’s just too small as a survival backpack. I wouldn’t go any smaller than the RUSH 24. The water-resistant construction will ensure the backpack stays nice and dry, whatever climate it’s being used in. 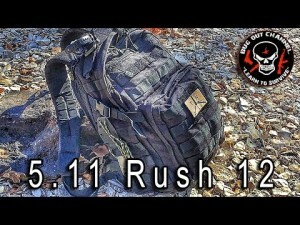 Check out my in depth Rush 12 Backpack review. The key compartment of the sling bag is large enough for all gear you want to put into the bag. It has an array of admin pockets on the inside, ensuring that your smaller items are kept organized. In the back, there is a slot pocket that can hold an armor plate or hydration bladder. There’s also a double zip shove-it pocket that can be expanded. The Triab 18 is a high quality backpack but it’s just too small as a survival backpack. Check out my full TRIAB 18 review. This backpack has a 2,440 cu.in./40 liters compartment. It has an aluminium removable stay that can be altered to fit the contour of your back. It’s got an inside sleeve/pocket that allows for a hydration system. One of the more unique features of this backpack is that it has two removable side pockets, which are compatible with and can attach to the Snugpak Yoke System. The back panel system is a very padded air permeable system that ensures comfort for the wearer as well as giving them back protection. It’s got padded shoulder straps that come with high wicking fabric. It also comes with a zipper compartment, both at the top and bottom. At the top, users can put the items they need to gain access to quickly here. And, in the bottom compartment, there is a rollaway rain cover. There you have it folks, also check out my article on forgotten items for your bug-out-bag. 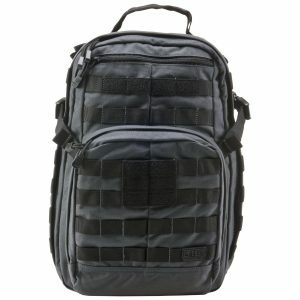 If you do decide to buy a 5.11 tactical backpack, check to see if you can use a 511 tactical coupon.